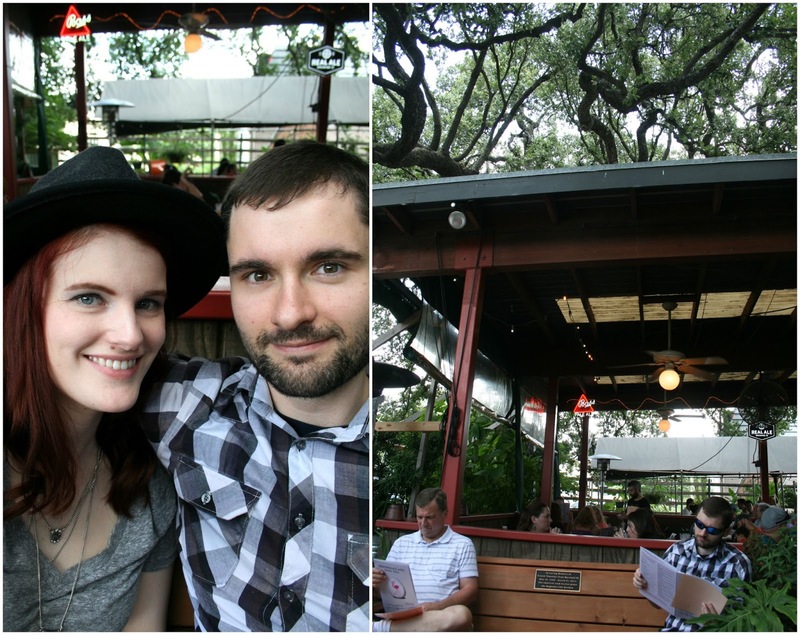 This was day one of our Austin outing (yes, I am STILL posting about this, it was quite the action packed trip) we decided to stop by Magnolia Cafe because of it's rave reviews from the locals in the area (it was even suitable for the president himself). 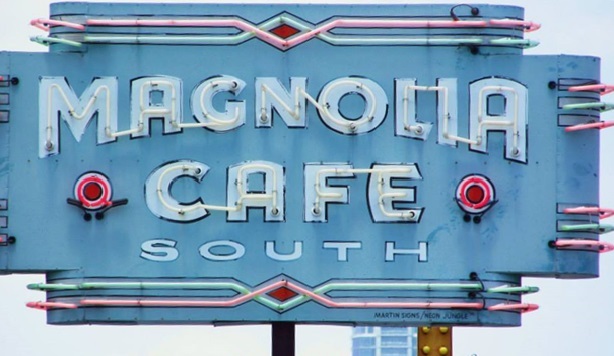 The menu offers up a variety of goodies including breakfast all day along with sandwiches, salads, and of course some Tex-Mex thrown in for good measure. We unfortunately arrived during prime time on a Sunday afternoon so there was a bit of a wait, but it also gave us the chance to hang out on the patio and snap some pics. I sneaked a bite of my mom's blueberry whole wheat pancakes which were light, fluffy, and chock full of fruit. They also had buttermilk, cornmeal, and other fruit toppings available. I ordered the smoked salmon benedict with hashbrowns and fresh fruit. I had mixed feeling because I've ordered many a salmon benedicts before and have had my fair share of fishy, overcooked soggy messes but I was willing to give it another try. Wow, let me tell you, if you're a fan of smoked salmon, you MUST ORDER THIS! I have been searching for Europe quality salmon here in the states and this is the closest I have come, it had that moist, slightly salty, melt in your mouth flavor/texture that all smoked salmon should have. The hollonsaise sauce was also good - little thicker than normal but it had great flavor. My only complaint was that my poached eggs were overdone and I didn't have that whole liquid gold runny yolk thing going for me, but it was still delicious. I can easily see why Magnolia Cafe has become such a staple to the locals The friendly service, relaxed atmosphere, and simple yet well executed menu makes for an ideal place to grab a quick bite, weekend brunch, or even an enjoyable night out.